It takes the skilled hands of an experienced butcher to cut meat correctly to enhance the flavor. You might say cutting meat is an art and our staff takes the job seriously-they bring out the best flavor in each cut of meat. Let us help you plan healthy meals for your family. Our goal is to offer meal planning, cooking tips and prepared items so even the beginner can cook successfully at home. 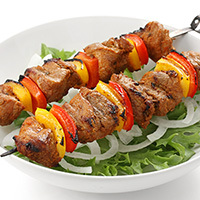 Fischer Meats wants your family to enjoy a wholesome home-cooked meal and reap the benefits of making healthier choices. If you’re short on time, phone in your order or use the contact form on this website to email your list and we'll have it ready for pick-up when you arrive. If you're a hunter, Fischer's is the place to bring your deer or elk for game processing. We have many years of experience processing wild game and are happy to do any custom cuts you request. If you have never tried us, we invite you to stop in our store. Our staff will process your game and with our own smokehouse, we know you'll be happy with the results. If you live in Seattle or the Eastside, our store is located in downtown Issaquah (on Front St.) and easily accessed by I-405. 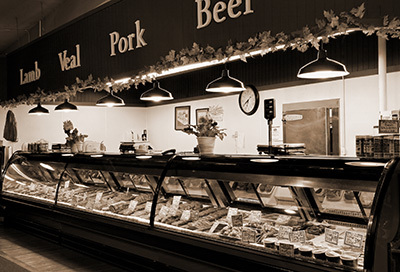 Since 1910, Fischer Meats has been happy to supply all types of custom cut. If you don’t see an item or specific cut in our display, just ask one of our expert staff and they'll be glad to accommodate your request. Whether you're buying for your family or a large party, our trained staff is ready to help you get exactly what you need. Our success over the years can be attributed to our willingness to cater to each customer’s needs. 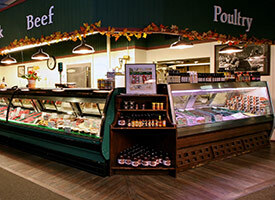 "For the last 30 years we have purchased our meats from Fischer's Meat Market. 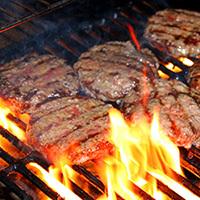 The meats are always of the highest quality, prices are reasonable and Chris and his staff know their products well. High quality, reasonable prices, and knowledgeable staff - can't beat that."